In this talk, I will first outline some of the fundamental principles that cartographers have been using –for hundreds of years– for designing maps and map-like representations of geo/spatial phenomena. Then I will draw links between the cartographic principles and modern visualization practices, taking into account our understanding of perceptual and cognitive processes. Following this, I will detail some of our original observations based on controlled lab studies, often also with the help of eye movement analysis. Featured studies will contain insights on color perception, effects of shading and shadows, route learning with realistic and abstract displays; and individual/group differences based on factors such as expertise, spatial abilities and age. 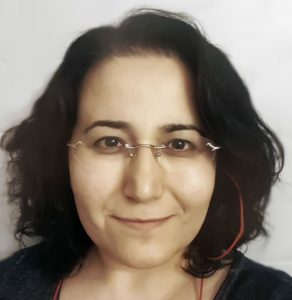 Dr. Arzu Çöltekin is a Research Group Leader and a Senior Lecturer at the Geographic Information Visualization and Analysis group the University of Zurich (Switzerland) and a research affiliate at the Seamless Astronomy group at Harvard University (USA). She is also the appointed chair of the ISPRS working group Geovisualization and Virtual Reality. Her interdisciplinary work covers topics related to Geographic information science (GIScience), visualization, vision (perception and cognition), eye tracking, virtual environments, and human-computer interaction.